Add your monthly expenses, by entering the name of the expense in the expense field. Then, enter the expense amount in the amount field. Click on the Blue plus icon to add the expense. Enter the total amount of days your store is open in a month. 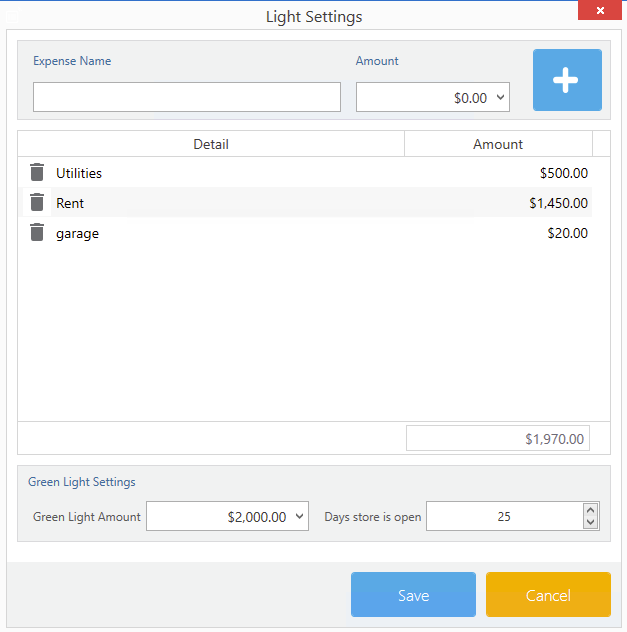 Enter the Green Light amount( Profit amount) in the green light amount field, and the software will automatically calculate your red light amount( loss mode) and yellow light amount ( breaking even mode).